Running a small business will be one of the most simultaneously rewarding and stressful experiences. Keeping on top of finances, while running day-to-day operations and creating long-term growth opportunities are all just some of the responsibilities that encompass running a small business. Interested in expanding operations though? 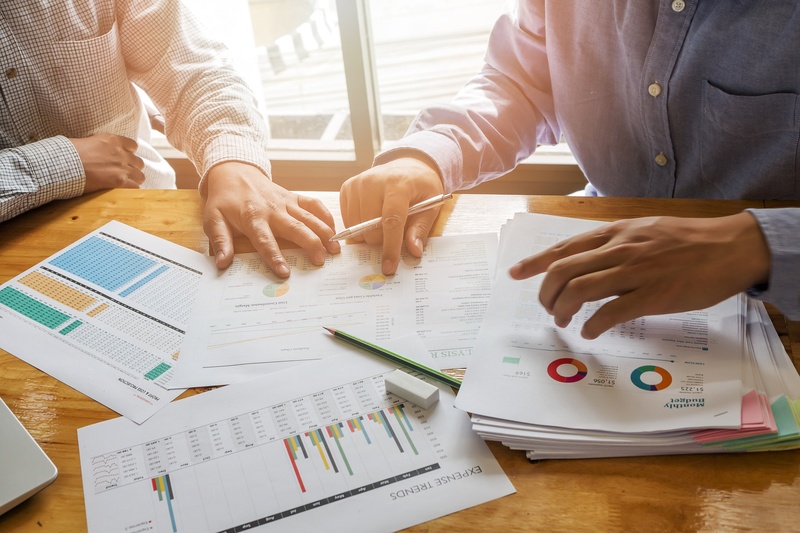 That endeavor requires ensuring that you are asking your bookkeepers the right questions on how your finances will drive long-term growth for your business. Here are a few questions to start the conversation off, and keep the momentum going. 1) How can we make bookkeeping system more efficient? Many small businesses use a bookkeeper without really engaging with them or asking their opinion. However, they see your business (and your revenue stream) from a different angle. Ask them their views and feedback on current systems in place and what can be improved going forward. The accounting process itself will likely need a great deal of iteration and change before establishing itself, so it is best to work with a professional throughout. 2) What is hampering growth? Because they see your finances from a different perspective, your bookkeeper is also able to see your business in the long-term and what opportunities there are. They may be able to provide valuable insight on what is keeping your business from achieving sustainable, long-term growth and what measures should be taken to maximize growth prospects. 3) What are the best kinds of financial reports to understand my business? Might sound a tad simplistic, but an important question to ask. Perhaps you already receive a few reports that you need, and that is it. But it is important to ask your bookkeeper if there are other reports you should be receiving to best ascertain the financial health of your business. There might be aspects of your finances that you are overlooking so your accountant can help you design a financial report system that makes sense for your business. 4) How often should I be receiving these reports? Once you have established what reports you need, and which ones make the most sense for your business, the next step is to establish the frequency by which you will need to see them. For many small businesses that are just getting started, it will make more sense to start off on a bi-weekly, or monthly schedule. Once your business becomes more stable and viable, you could switch the schedule to receive them monthly or quarterly system instead. 5) What tax issues should I be aware of? The thought of tax planning and frankly, taxes themselves can strike dread in the hearts of many. However, much of that dread comes from not planning ahead. As your business grows and changes, so will its tax structure, and there might be loopholes available that you are not aware of. However, to ensure you are taking full advantage of tax benefits, it is critical to work with a professional beforehand to understand what is needed, what documents must be kept and other important issues. Many businesses tend to have an offensive tax strategy (i.e. working with a professional after problems have arisen) rather than a defensive strategy and that tends to be the mistake. You might have already discussed your accounting and bookkeeping process and how to make that more efficient - but what about the overall financial operations of your business? Are things running smoothly, or are there gaps in the process that then hamper your bookkeeping? A business is the sum of the many parts, and underperforming parts can slow overall growth which can be frustrating. Ask your bookkeeper their thoughts about your financial operations, whether you are on the right track and where they see room for improvement. They can advise on best practices and industry standards from a different perspective, which can be extremely helpful. Interested in learning more about our bookkeeping services and other small business accounting tips? Please contact us today.